Paris - Egypt sharpshooter Mohamed Salah continued a hot scoring streak by putting Liverpool ahead in a 1-1 English Premier League draw with Chelsea at the weekend. The 25-year-old, who spent two unsuccessful years at Chelsea before his career took off in Italy at AS Roma, has scored six goals in his last five matches. 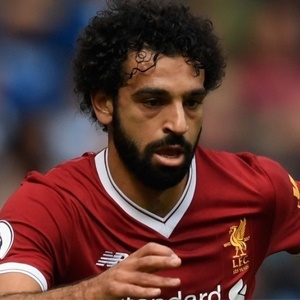 Salah is among 30 nominees for the CAF African Footballer of the Year award and one of five BBC African Footballer of the Year finalists. The winger haunted former club Chelsea with a goal in a 1-1 draw at Anfield. Since joining Liverpool in the close season from Roma, Salah has maintained fine form and struck after 65 minutes against Chelsea. Finishing from close-range after poor defending, Salah scored his 15th goal for the Reds this season. The Senegal midfielder was back in the starting line-up against Watford, but could not stop his side slipping to a dismal 3-0 defeat. Diame played for 69 minutes at St James' Park before being taken off with Newcastle three goals down. Bakambu continued excellent form with his 12th goal of the season by firing Villarreal into a first-half lead against Sevilla. The Democratic Republic of Congo striker is now La Liga's second top scorer behind Lionel Messi, but his opener counted for little as Sevilla roared back from two goals down to win 3-2. The Ghanaian showed the importance of his versatility for Atletico by lining up at right-back as Diego Simeone's men registered a fourth consecutive clean sheet as they thrashed Levante 5-0. Senegal striker Babacar's last-gasp penalty grabbed a 1-1 draw for Fiorentina against Lazio in Rome. The controversial penalty call was awarded in the 93rd minute using VAR (video assistant referee) with Babacar making no mistake from the spot. Bologna's African contingent powered the team to a 3-0 win over Sampdoria, despite being down to 10 men for the entire second half. Sengelese defender Mbaye nodded in a corner for the second goal after 23 minutes with Nigerian Okwonkwo finishing off an assist by Ghanaian Donsah for the third on 73 minutes. The Gabon striker scored the opening goal, but then picked up a red card in Dortmund's second-half collapse as they threw away a four-goal lead in a 4-4 draw at home to Schalke 04. Aubameyang hit the opener after 12 minutes, but replays showed his 11th league goal of the season clipped his right hand. He was sent off with Borussia leading 4-2 after his foul on Schalke goalscorer Amine Harit and Morocco international brought a second yellow card. The Liverpool-bound midfielder claimed his second goal of the season when he gave Leipzig a 34th-minute lead in the 2-0 win over Werder Bremen. Keita steered a clever effort into the corner of the net after a mistake by Werder's Thomas Delaney. Tunisian international Khazri was the hero for Rennes as his double sealed a 2-1 victory over Claudio Ranieri's Nantes. The 26-year-old winger now has four league goals in seven appearances this season, after ending a difficult spell in England with Sunderland.